The Air Jordan 1 Retro kick made noise this January after being released in several variants and colorways this month. And soon, Jordan Brand will kick off February with the release of another edition of the kick. The Air Jordan 1 Retro Mid, which is different from a Phat Mid edition, will be released in February worldwide. 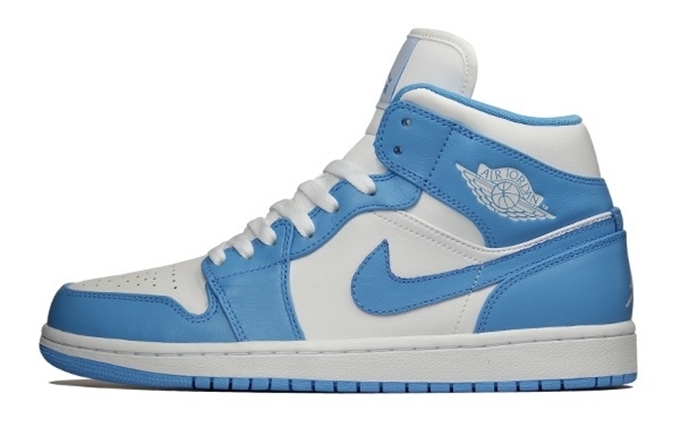 The retro kick will be released in a classic and familiar White/University Blue-White. It was originally slated for release on February 1st for $105, but we’ll update you when more release details is announced. Watch out for this kick!